When it comes to manga, girls rule! Manga Mania Girl Power! shows aspiring artists and fans how to draw a huge cast of characters, including girl samurai, fantasy chefs, princesses, schoolgirls, cat girls and athletes, to name just a few. 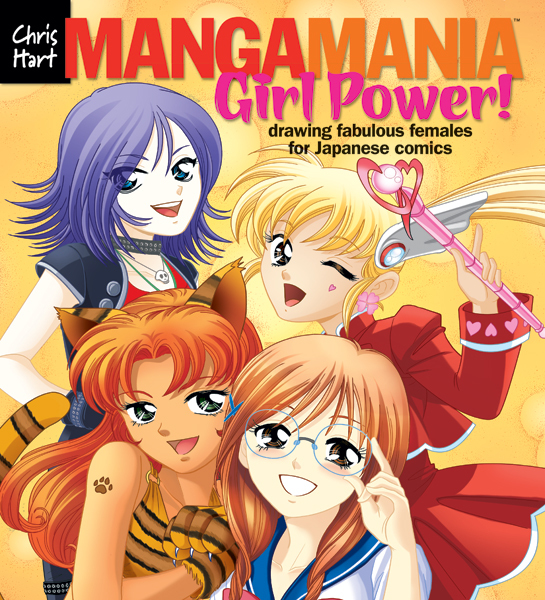 Packed with hundred of step-by-step drawings in the authentic Japanese style, Manga Mania Girl Power! is a must-have for anyone who wants to draw the many faces of this popular manga genre. Since manga girls rarely sit still, Manga Mania Girl Power! puts them in a variety of situations: flirting with boys, playing with their pets, shooting a monster with a flamethrower, texting on their cell phones and more.